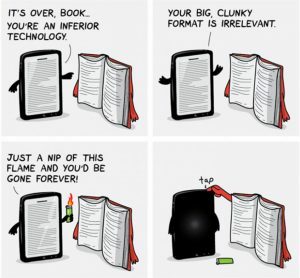 Ever used an e-reader? (google ebook) Every travellers should have one.
. Go and google ebook as soon as possible to enlighten yourself. I know many of you will also be hard copy snobs. Dam your hard copy snobbery. Though I must admit, a print book is superior to an eBook in many ways. They are very different horses, for very different courses, so you should judge them accordingly. My personal collection bordered on 1,000 hard copy books at its peak. But when you are a travelling hobo, with no fixed abode. It’s difficult to maintain such a collection, and completely impractical to take it with you as you drift from place to place. I eventually whittled it down to 300 of my favourite books, and a family member is storing them for me. hole library in your pocket. It should be every travellers dream. 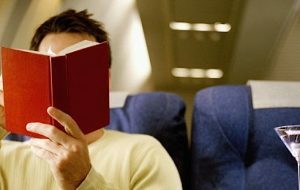 I have lost count of how many times I have sat with two books on a long haul flight, and had no desire to read either. Now I flick through my pocket library until I find something suitable. I remember purchasing the first Kindle back in 2008, in Kentucky if I remember rightly. What a queer device that was. I was not entirely convinced by e-readers at that point. But still pretty ground breaking stuff. A few years later I decided to get an Apple iPad. To read, watch movies, and browse the internet, all-in-one. I was travelling a lot for my work, and often staying away in remote locations for up to 2 months at a time, so it seemed like a good idea. But as an avid reader, I should have prioritised. 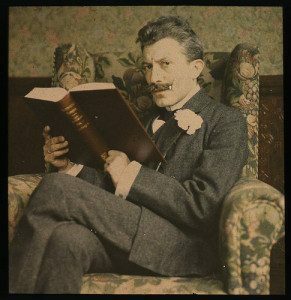 Reading books on an ipad is a heinously foul task. I dont recommend it to anyone. Along, with the fact you have to convert all your non-MP4 movies to play on the iPad, you can say it was an epic failure. I was soon back onboard the Kindle express. The good folk of Amazon had cycled through ten kindle variants in my absence. The e-reader market was moving pretty rapidly, with good reason. I purchased the latest Kindle 5. A vast improvement from the queer old first edition. I was suitably impressed. That was in 2012, and since that time I have had three further kindles. 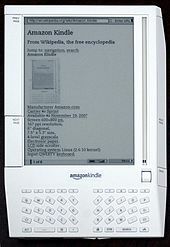 The Paperwhite first edition not long after Kindle 5. The Kindle 7, and finally the Paperwhite 3 which I have to this day. Are the days of the book numbered? What are the upsides and downsides to e-reading? Small talk about what book you have in your hand is eliminated. Hard copy Book Snobs, will curse you using hushed breaths. The batteries on a hard copy never die. Battling through the mass of garbage ebooks available. When reading while led on your side, no need to turn over when you switch to the opposite page. You can wave it around brashly in front of hard copy book snobs, if you enjoy trolling. Many e-books are available free, unlike their papery cousins. e-books can be used as a sushi tray when turned upside down. In conclusion. e-readers are the best. Next week I will be reviewing all the latest e-readers. Sign up below using your email and we will give you a heads up when the article is live. Very fun story I like kindle the same. lots of free books to download.